Eastemnet Master with the Metalsmith Crafting Guild. Rank 4 (8243) in the Ettenmoors, with 0 Killing Blows. Eldest of three sons to the great Berekond, warrior in the Stewards Service to Gondor. 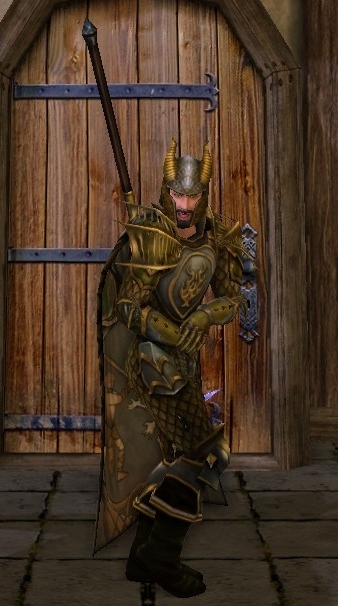 Orphaned at a young age, Beregond grew up with his uncle in the town of Archet with his brother Berefond. During his adventures into Forchel, he discovered his half brother Berevond. Hey, it gets cold there..... dad had to do something.